The Antique Style Wall Clock is carved from Limba. There is no dye and stain involved. Wood has been finished with natural wax. 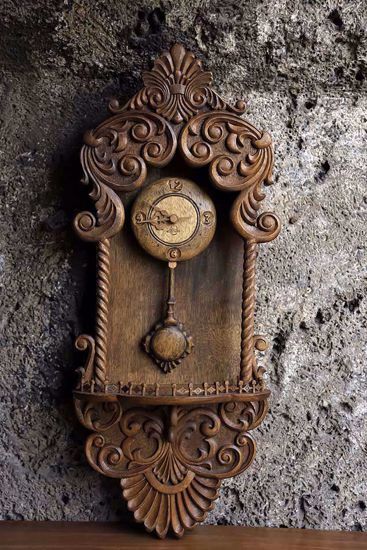 The aged dial offers carved numerals and decorative wooden hands. The wooden stick pendulum features an antique-designed carved wood. It has a quartz, battery operated movement.